Hi everyone! I hope your Fourth of July weekend was great! On the menu today is Panzanella. This recipe will help you use and enjoy your tomatoes from the garden this summer. I just love the flavors and the smell of this great salad! Panzanella, is an Italian bread salad that has been around for centuries. It always includes bread and tomatoes and lots of vegetables. For bread, use a good quality Artisan bread or sourdough bread. Make sure that you add the bread right before serving so that the bread is somewhat crispy. This recipe for Panzanella makes me start singing the song "Dulcinea" from Don Quixote; I just substitute the word Panzanella for Dulcinea! 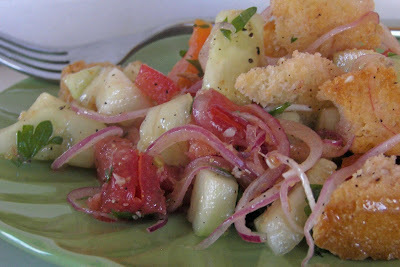 For the correct pronounciation of Panzanella, click HERE. I am sure Italian cooks don't use a recipe to make Panzanella, but here is a great recipe for the rest of us! This recipe is from the Women's Day May 2010 issue. For the recipe and instructions, please look below the CSN review information. Recently I was contact by CSN to do a product review; CSN has over 1,000 vanities and you can easily find a vanity for your bedroom or bathroom. 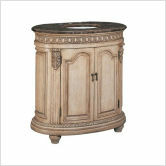 They have vanities that range from classic styles to comtemporary styles. Many of them come with free shipping and I doubt you will find a better selection anywhere! Here are a few that I found that I love. 1. Heat oven to 400ºF. Line a jelly-roll pan with foil. Arrange bread cubes in a single layer on pan. Toast in oven 10 to 12 minutes, tossing once, until evenly browned. 2. Meanwhile, put tomatoes, onion, oil, vinegar, garlic, salt and pepper in a large bowl. Let stand at room temperature at least 30 minutes or until tomatoes release their juices. Toss occasionally. This is an important step. I love how the flavors blend and everything smells so good. 3. Add peppers, cucumber and parsley to tomatoes. Let stand at least 15 minutes for flavors to blend. Just before serving, add bread cubes; toss to blend thoroughly. Although I like this salad just as written, you could add some mozarella cheese or fresh basil. I am posting this with Tasty Tuesday blog party. 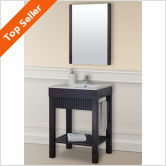 I'll have to have a look at that site, as we are in the market for a new bathroom vanity. So far I've looked online at Costco, Lowe's and at Home Depot but haven't found what I want, so thanks for the tip! Oh YUM!!! This sounds absolutely amazing!! Joni, the recipe sounds delicious. I'm making it tomorrow night, I have everything on hand so it's a go. Also, I am looking forward to your product reviews! This is one of my favorite summer salads, Joni. Perfect for days like today when the mercury should hit 95 degrees. We'll have local tomatoes before too long and this recipe will be perfect for them. That looks so delicious!!! I wish I had some today. This salad is one of our family favorites, but I forgot to include it in the recipe book. You need reminders every once in a while. It looks delicious and so healthy. I can't wait for my first tomato!